Montana Wildflower Weddings in Red Lodge, MT is a beautiful venue to have a classic barn wedding, with a modern look. Imagine being surrounded by trees, mountains, a small pond, waterfalls, and neighboring horses to say "I Do" - this is that venue. After Aaron proposed to Paige in the Grand Teton National Park, they couldn't dream of a better place to get married. This sweet space was built with an emphasis on nature, and it was a perfect reflection of a couple who bonded over being outdoors together. Although their special day was in August, it was rather chilly and windy on top of the Beartooth Pass where the couple had their first look. So windy, that when Paige stepped out of the car, her veil blew right off! But the cold wind quickly melted away when Paige realized that she was about to see Aaron for the first time as the Bride. And it was a good reminder that no matter what happened or how well the weather was going to cooperate, the day was going to be perfect because she was marrying her best friend and love her life. This beautiful design came when Paige wanted her wedding to draw from the outdoors while adding in whimsical Bohemian touches. Many of the textures used were inspired by nature, and incorporating greenery and floral helped to complete the space. Although Bohemian was the primary style, Modern elements were included to add some depth and different textiles. This included two unique lounge groupings, rugs that lined the isle, and yarn macramÃ©'s throughout the reception space. With this design, and the Beartooths as the backdrop, Aaron and Paige's guests were able to fully feel the beauty Montana has to offer. Looking back on her day, one element that stuck out Paige was the ceremony space. 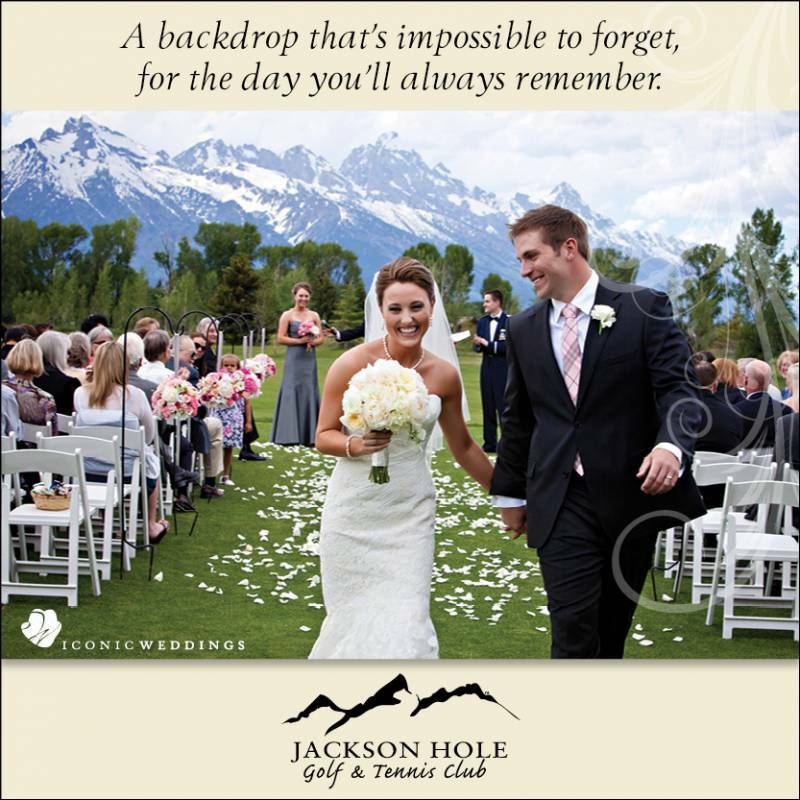 She explains, "The arch framed the mountains perfectly, and really helped tie in the landscape to our big day. Before and during the ceremony there were horses grazing in the neighboring pasture that were framed right inside the arch - which could not have been more perfect. The rugs added that fun, bohemian touch that really tied everything together and made it feel unique and special while still anchoring our vision for the biggest part off our big day." With the combination of a metallic ring and floral detail, the arch was aesthetic and not overly designed, allowing the nature to do it's natural framing. Other elements that made for a happy bride and groom was the donut wall, metal hoops hanging from the ceiling and different layers of light.